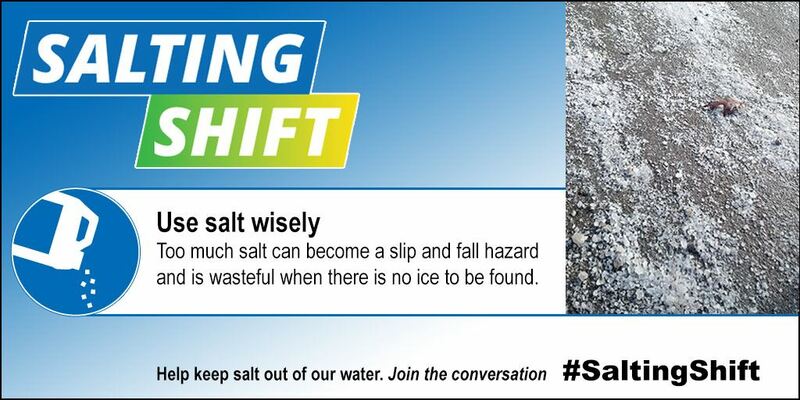 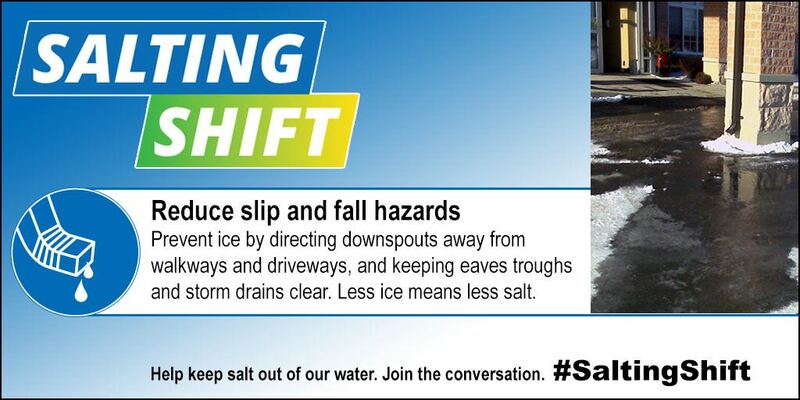 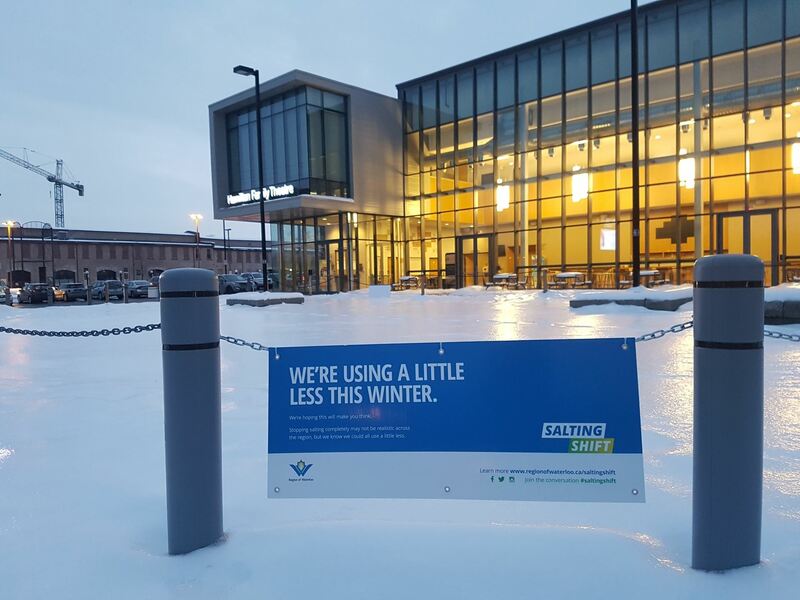 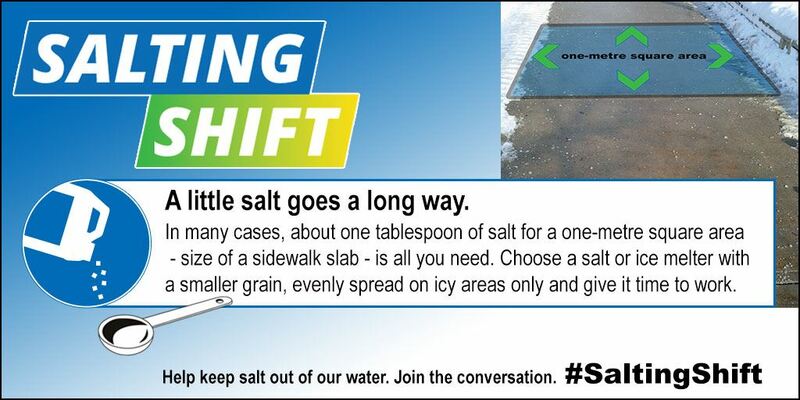 The Salting Shift campaign was developed as a way to change the conversation around salt in winter maintenance. 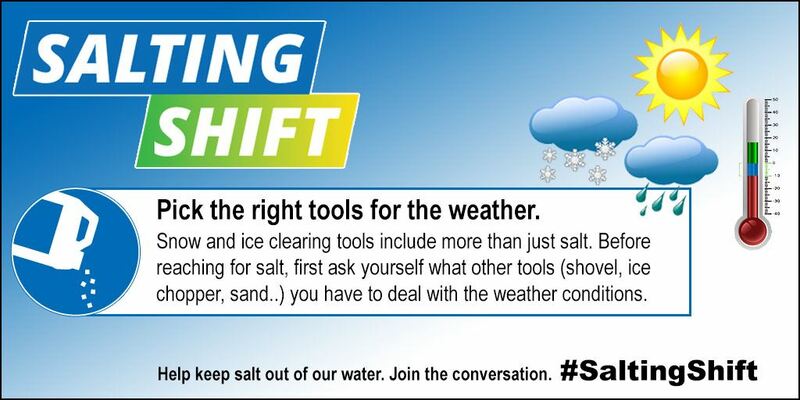 Making people aware of the many issues and having the community take ownership of the solution is a key step in reducing winter salt use and protecting our water sources and infrastructure. 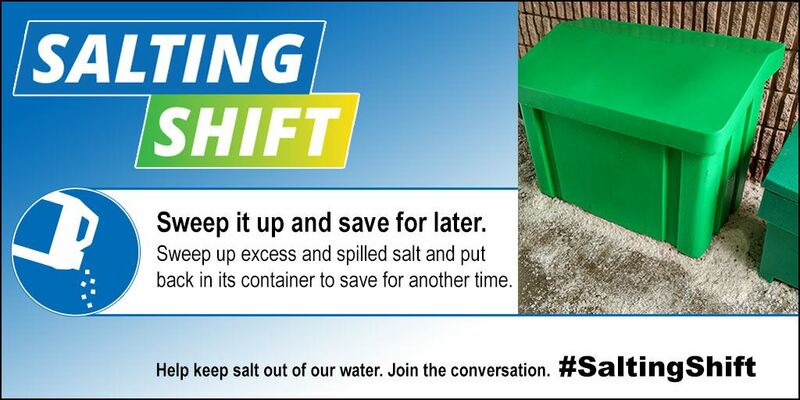 The Salting Shift logo can appear on posters, ads, signs, digital media and other places with messages to explain the challenge and promote best management practices (BMPs) and ideas for what individuals and businesses can do to start reversing the trend of elevated chlorides. 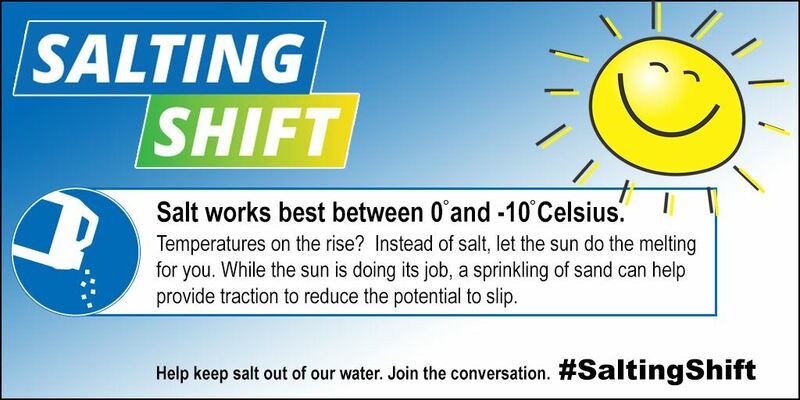 We are “shifting” the conversation to a more productive dialogue around how complex the problem is, why everyone should care about the issues and what everyone can do to help fix it. 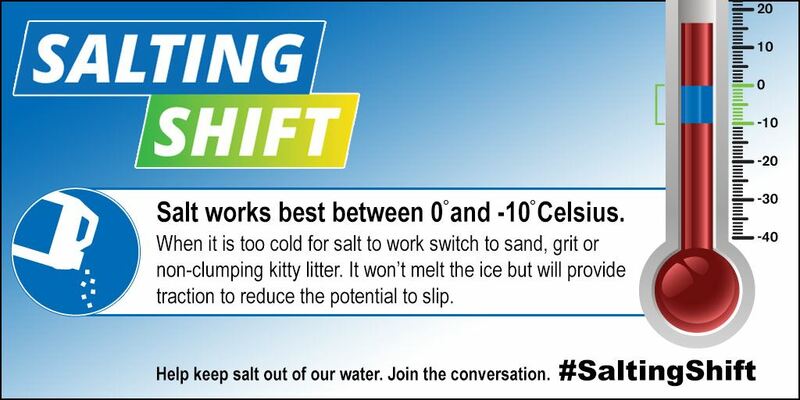 It will take everyone to make progress with Salting Shift.